Apple boosts its gaming department with the appointment of two major PRs? 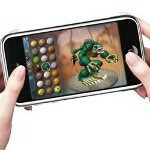 Reports are flooding the net that two high-profile gaming PR executives have joined Apple to focus on its iOS platform. These talented lads are named as Robert Saunders, who, until recently, was Nintendo UK's head of PR and Nick Grange, who previously worked for EA Sports and Microsoft, and is currently listed as Activision's European PR director. Take into account these reports are neither confirmed by the Cupertino-based company, nor by the above-mentioned individuals, but if they hold water Robert Saunders will occupy a newly-created role at Apple, the main focus of which is said to be PR for iPad, iPhone and iPod apps, while Nick Grange will join the company to work on the hardware capabilities of the iPad. As we pointed out in our article on the subject, Apple managed to ignite a mobile gaming revolution with the launch of its iPhone and iOS, not to mention that virtually everyone agrees that gaming on smartphones is growing in importance. With these facts in mind, it's unsurprising that Apple wants to retain a big share of that profitable pie, and if these appointments are confirmed, this would underline that smartphone gaming really matters today. The Playstation phone was killed when it was released... seriously who bought that. A PSP phone has yet to be released. This will defiantly not kill the PSP 2. I mean, let's be honest...mobile gaming platforms are going to go the way of stand alone GPS devices and MP3 players. As smartphones start packing in more power under the hood and gaining more functions, folks are going to drop the extra crap they don't need. It used to be that if you were off network, GPS through carriers wouldn't work, but now there are apps that will download the entire map to your phone. Gaming is the same way. When they released Epic Citidel and N.O.V.A. I knew it was only a matter of time before Sony PSP and Nintendo DS would be kind of pointless. Plus, I think for gaming designers, this is good. Sure, you have to give Apple 30% of the profit, but independent developers that don't have studio support can make a lot of money and gain a lot of popularity. Of course, we use Angry Birds as the example, but there is a more recent game called Tiny Wings that is doing very well on gaming. There was even a free game that is kid developed that was number one for a while. It's doing for developers what iTunes did for independent artists as far as getting their music on the market. Apple should take this seriously. I still think they should make a gaming platform for television that packs a lot of power and hard drive space and only get games through a gaming store. Developers don't have to go through GameStop or go through the whole hatred of people only buying used games (I think this is what we will go through anyway).